The Star is a daily newspaper based in Gauteng, South Africa. It is one of the titles under the Independent News & Media South Africa group. 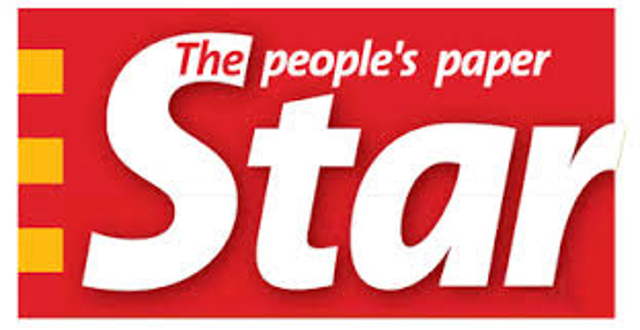 The Star newspaper appeared for the first time in Johannesburg as The Eastern Star. It was founded in Grahamstown under that title on 6 January 1871, and was moved to the Witwatersrand sixteen years later by its owners, brothers Thomas and George Sheffield. In 1889, the name Eastern Star was changed to the one currently in use. We have news about people and animals. Some gategories have a list of news you can choose from to read, eg News: Public Works official fired for R60m fraud, Ntwana’s failed bids to forestall hearing, NPA head running out of time , Women in bus drama take on JMPD, Pupils must visit Apartheid Museum – MEC, Call to exempt teachers from tax, Officials face lifestyle audits, Probe into Witkoppen shooting, Help for red-zone councils, ‘Confession beaten out of Krejcir co-accused’.